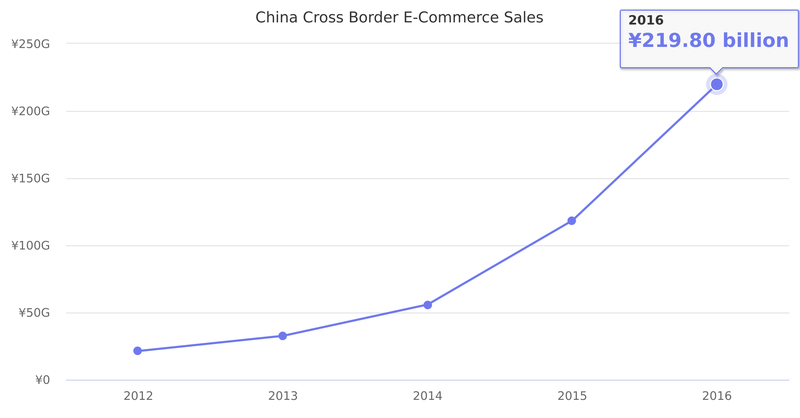 In 2016 Chinese consumers purchased 219.8 billion yuan ($31.99 billion) worth of overseas products through cross-border e-commerce. Alibaba launched Tmall Global in 2014, and JD launched JD Worldwide in 2015, enabling overseas brands to sell their goods directly to shoppers in China. It expected by that by 2020, a quarter of the population, amounting to more than half of all digital buyers, will be shopping either directly on foreign-based sites or through third parties. From ¥118.43 billion in 2015 it increased by 86% to ¥219.80 billion in 2016. Source: iResearch. Local currency used, not US$.